Tue., March 28, 2017, 1:22 p.m.
My long-time bud D.J. 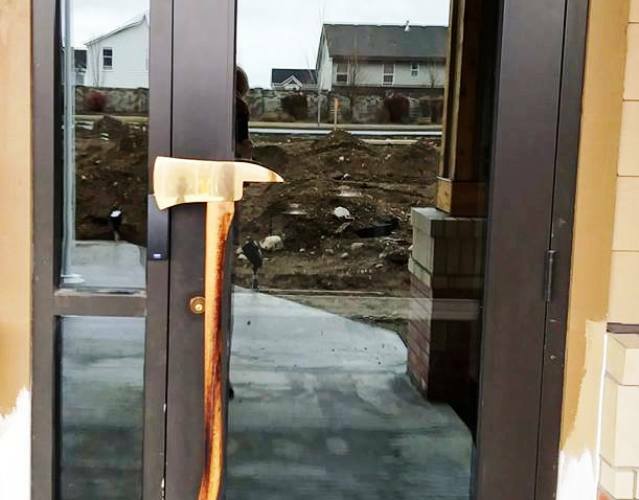 Nall, of Coeur d'Alene via Hauser Lake, provides this photo of the front door of the new Coeur d'Alene Fire Station (No. 4). To open the door, it appears that you grab the fire ax, which looks real, according to D.J. How cool is this? Take a bow, Fire Chief Kenny Gabriel and anyone else responsible for the clever front door. Posted March 28, 2017, 1:22 p.m.